Cane is natures gift to mankind, it’s been productively used by people for generations for making boats, as roofing material and also for storage purpose. New generations are more creative in using cane for both indoor and outdoor beautifications. Cane is tensile which helps in making your loved décor more versatile and its long-lasting durability makes it suitable even for your garden and balcony. Try these eco-friendly cost effective decors and experience to tune in with nature at your pleasure palace. A welcoming entrance space creates a warm pleasure to relax around. These front door hangings and planter baskets with fresh flowers will make it happen. Try this vintage burnt bent rocking arm chair or the comfortable hanging chair at your entrance if you need to spend some quality time alone. 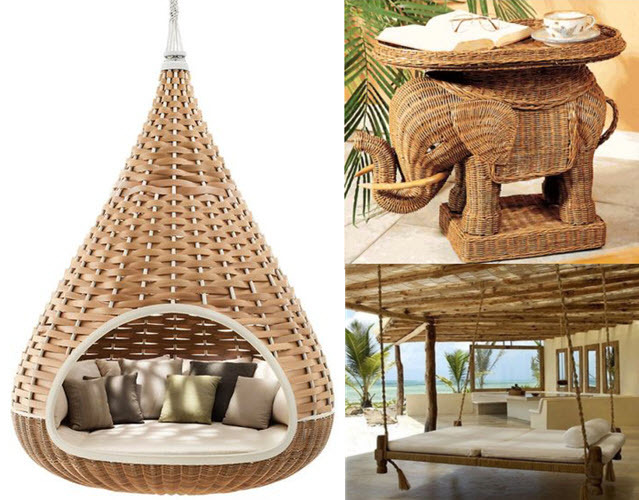 Relax yourself with these amazing swings. Living room is the first and main level of a home and sees a lot of activity. This room should be made comfortable for each member of the family. The first attraction to anybody who gets in, so make it more attractive with this modern living room set with indoor lounge. Best room and your ultimate destination to rest and end your day by welcoming lovely dreams. Make it more appealing with the Rustic cane head board cot along with the magical dressing table, cute and compact tea table with two seaters and a jumbo armoire with showcase. Try this classic indoor chaise which adds additional beauty to your most loved space. Ambient lighting is required to create a flattering atmosphere at home. These exciting pendant lights, coastal palm tree lamp base, vintage Chinese wicker basket base and ball chandelier will make it happen. Enjoy you time more at home with picture perfect lighting. Light up anywhere with these light weight cane decors. Happy meal time builds good health. 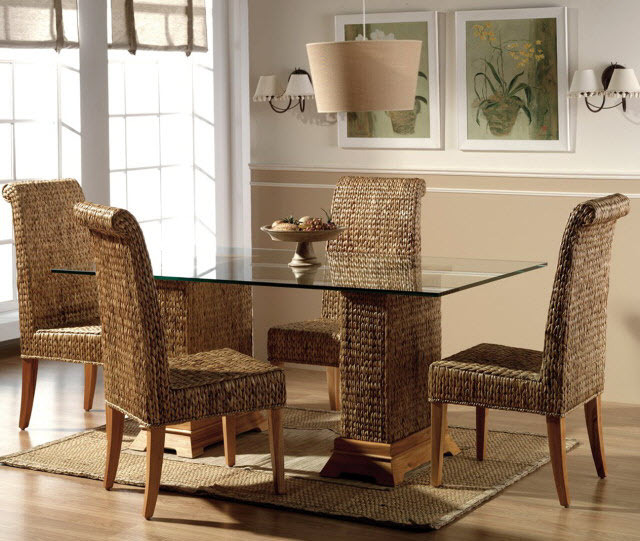 Make an inspired dining with the four seater rattan glass top dining set. The furniture is placed over the cane rug to offer comfort to your feet. Your time pass area, best location to grow potted plants, rooms with balcony make it appear more beautiful and spacious. 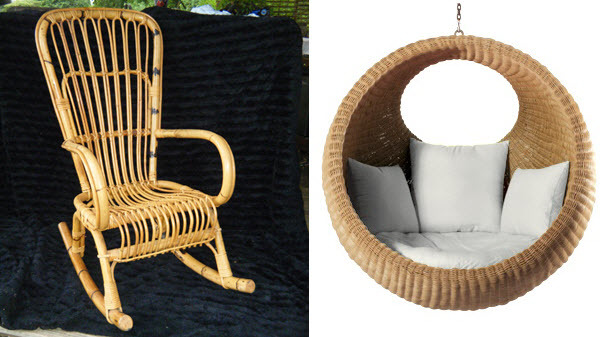 These egg shaped rattan sofa and the love seat looks great for a small balcony. 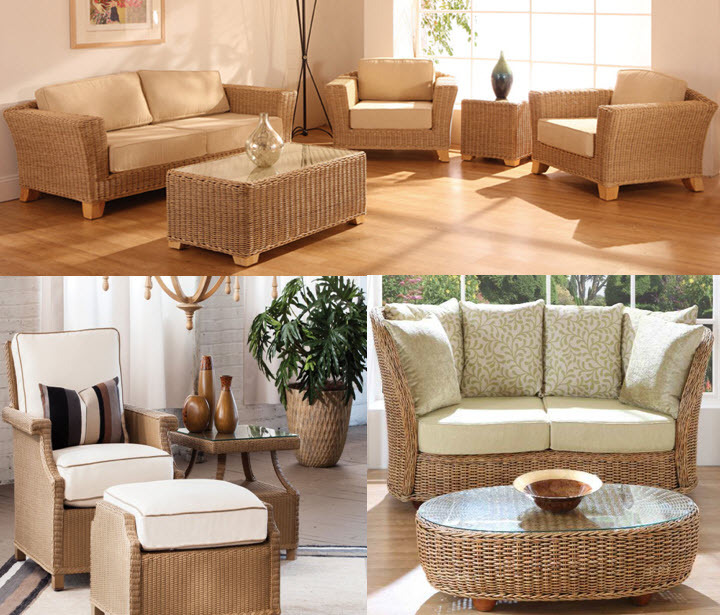 Never miss this sea grass patio designer furniture with cushions if you own a spacious balcony. This will leave you extremely mesmerized. Garden is the favorite place for everyone to enjoy fresh air with pleasant greens around. Outdoor hang beds, and nest rest is best for your garden with trees. Enjoy your tea time with family placing this vintage cane elephant in your lawn. 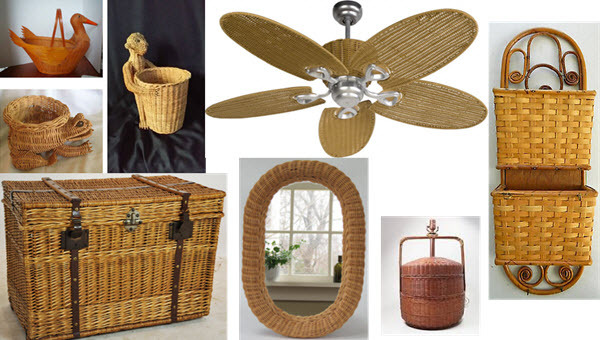 You may also love other useful products which include rattan wall clocks, mirror frames, shop bill holders, fruit and laundry baskets, French trunk, corner stands, tissue box, cute decorative pots, ceiling fans and lots more. 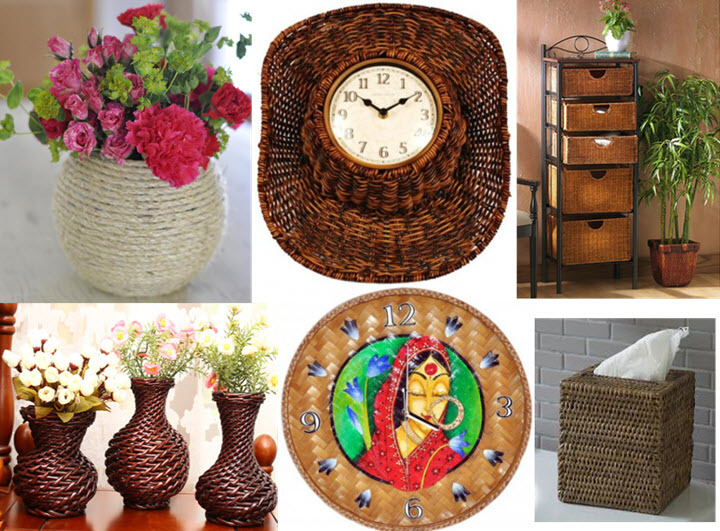 Both traditional and modern decors made in cane are more on demand nowadays, not only for its low cost and maintenance but for its health benefits too. 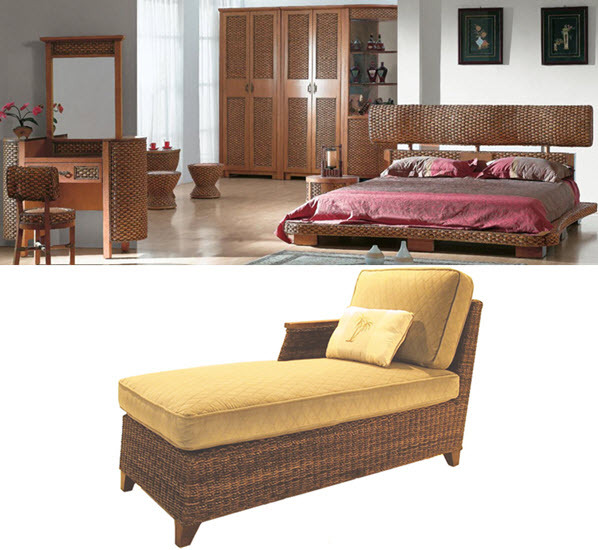 Cane furniture’s are a healthy choice for people with diabetes. It is said to reduce the body heat. Furnishing and decorating your home must always be your precious desire come true. These eco-friendly, affordable decors make your home look and feel beautiful. If you come across any unique cane décor, please send it to us so we can add it to our list.